Is Range of Motion Exercise for You? Range of motion exercise is moving a joint through it’s pain-free rage of motion to increase circulation and mobility. Ankle range of motion serves as a great pre-exercise to high-impact and low-impact exercise. Here are 3 ankle range of motion exercises to get started. Do each 5-8 times. 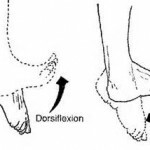 Circle your ankle in both directions. 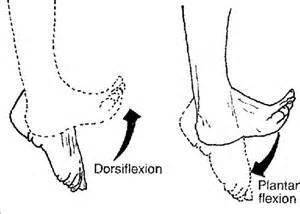 Rotate the bottom of your foot in and then out. Do traditional exercises like pushups still have value in your exercise plan? The answer is a resounding yes! Here’s why. Pushups incorporate all muscles of the body. 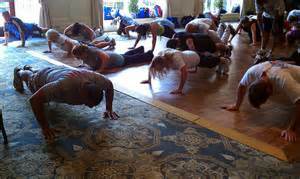 Pushups use the core muscles how they are required to work during your daily activities, in a stabilizing capacity. Pushups build upper body strength. Wall Pushups. Stand facing the wall. Place your hands flat on the wall in front of you, about chest-level high and shoulder-width apart. Bend both elbows and lean into the wall. Keep your feet flat on the floor and keep your torso straight. Extend both arms and return to your starting position. Bench Pushups. Place your hands in the center of a stable bench, with your body straight and toes on the floor. Bending both elbows, lower your chest toward the bench. Extend your arms and return to your starting position. Floor Full Pushups. Place both hands flat on the floor with your hands slightly wider than your shoulders. Tuck your toes under and lift your body up off the floor. Bend both arms and lower your chest toward the floor. Extend both arms to return to your starting position. Floor Modified Pushups. Kneel on the floor. Place both hands flat on the floor in front of you about shoulder-width apart. Move your knees back slightly until your body is straight, with only your knees and hands on the floor. Bend both arms and lower your chest to the floor. Extend both arms to return to your starting position. You work hard for your fitness! Every workout yields a stronger, healthier and more determined you. Be your BEST fit-self with #HealthyWayMag Fitness Chat every Monday 5pm(Pacific)/8pm(Eastern) on Twitter! Log onto your Twitter account and follow @HealthyWayMag to view the chat questions. Questions for discussion will be posted as Question 1, “Q1″, Question 2, “Q2″ and so on. Contribute your answer and experience via answers to Question 1 noted as “A1″, designating your answer to Question 2 as “A2″ and so on. 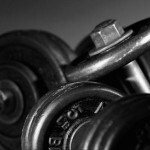 Consider our weekly fitness chat as your virtual fitness-club meeting! You’ll chat with other fitness enthusiasts, exchange workout tips and ideas, share your challenges and solutions, and offer accountability and motivation! What do you do with your race bibs? Meet Bibs2Bags! Let’s face it, throwing out old race bibs can be painful as each represents a different experience in your fitness and healthy living journey. Now you don’t have to! Commemorate your race bibs into a fun and useful bag. Check out their Custom Crafted Bags made from your running and racing memorabilia. Upcycle, Repurpose, and Show off Your Accomplishments! Follow them on Twitter @Bibs2Bags for more info! Fall has just started and winter is right around the corner, but is it too early to be preparing for your summer wardrobe? When you wave goodbye, does the underneath of your arm continue to wave even after you stop? To tone up your arms, give tricep dips a try. Sit on the edge of a chair and wrap your hands over the front edge. Walk feet out slightly so your hips are out past the edge of the chair. Lower hips toward the floor until your elbows are bent to 90 degrees. Press up until your elbows are straight, but not locked. Work up to doing 15 reps and 3 sets of this exercise. Clock lunges are guaranteed to tighten up your booty, slim the hips and give you well defined legs. Imagine you are standing in the center of a clock. Straight in front of you is 12:00, to your right is 3:00, behind you is 6:00 and to your left is 9:00. Lunge with your right leg to each of the 12:00, 3:00 and 6:00 positions. Lunge with your left leg to each of the 6:00, 9:00 and 12:00 positions. Each time you lunge, make sure to return to the starting position before lunging to the next position. Once you have completed each position, you have done 1 cycle. Work up to doing 5 cycles and 3 sets of this exercise. Plank Up Downs will tighten the entire core, strengthen the chest and give you definition in your shoulders. Get into a pushup position (on knees or up on toes) with your elbows directly underneath your shoulders. Slowly drop down into a low plank position (on elbows) one side at a time and pushup yourself back up into the high plank. That is one rep. Work up to doing 10 reps and 3 sets. The best and most efficient way burn fat and torch calories is through HIIT – High Intensity Interval Training. It’s a short workout that alternates between short blasts of high intensity work with bouts of lower intensity “recovery” periods in less than 30 minutes. Warm up for 5 minutes. For the next 10 to 20 minutes alternate between 30 seconds of very intense exercise (like running) and 90 seconds of lower intensity exercise (walking or complete rest). Follow that up with a 5 minute cool down. HIIT training is very difficult and should not be done more that 2-3 times a week and never 2 days in a row. Before you decide which exercise routine to follow, you should have a clear idea of your fitness goal. If you are just starting out because you got an earful the last time you visited the doctor, then your immediate goal may be to reduce weight, or manage your diabetes. You may be one of those who already follow a healthy lifestyle, but now want to dial up the fitness part and train for a marathon or a 5K. You might have some body-building goal in mind, or want to improve your flexibility. You may want to become serious about playing a sport, rather than just going for a weekend game now and then. 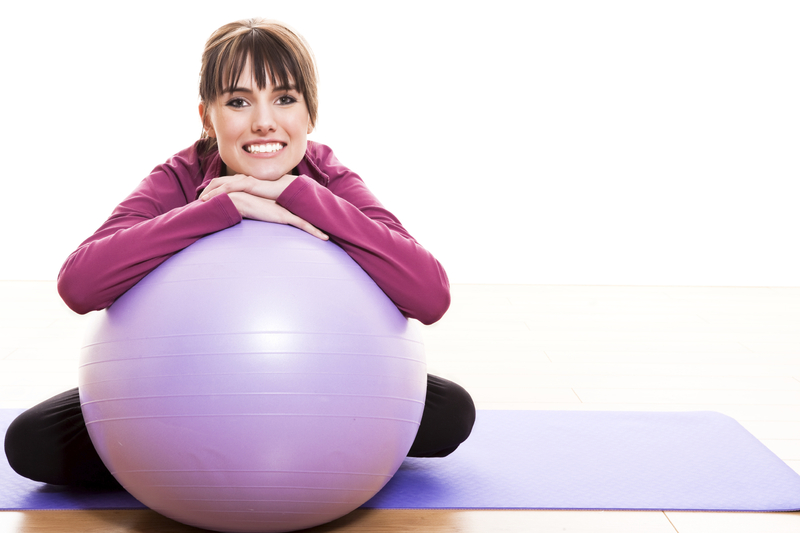 Choose an exercise routine specifically to achieve your goal. For example, if you are just starting out, you may want to start with a low-impact or non-impact aerobic activity and aim for at least 30 minutes five days a week. If its body building you are after, you will need a strength training routine that targets specific muscles, with different sets of muscles coming into play in each session. You also need to figure out if you want to work out at home, outdoors, or at a gym. You may want a full-service health club offering amenities such as a swimming pool, sports options, a sauna and a massage service. Cardio is physical exercise of low to high intensity that causes you to breathe harder, gets your heart beating faster than at rest, and makes you sweat. Walking, running, cycling, swimming and dancing are all examples of aerobic exercise. Start with a moderate routine, and then dial up the intensity. Popular aerobics exercise classes offered by health clubs include spinning, high intensity interval training, dancing, aqua aerobics, and so on. 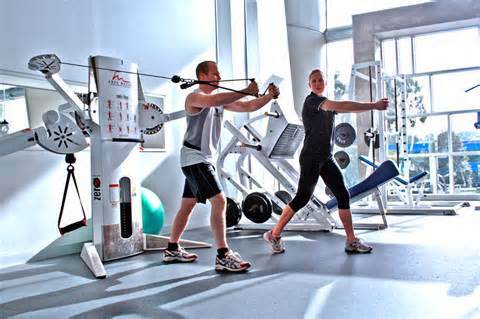 Exercise classes also help you to meet new people and can be more motivating than exercising solo. Remember, if you are a beginner to exercise, or have any health condition, you should always talk to a doctor before beginning any exercise routine. This is a form of exercise designed to strengthen the muscles, either by using weights such as free weights, kettlebells, or resistance bands, or by using the body’s own weight. 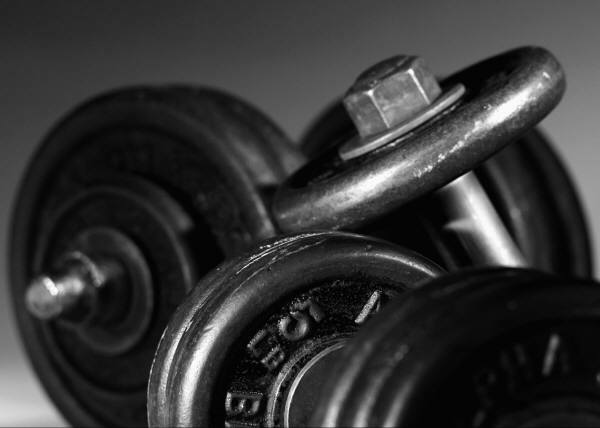 A strength training routine should target different sets of muscles on successive days. There are many exercise routines that combine cardio and strength training; this combination has the dual benefit of increasing your fitness and enhancing your strength. Since strength training can lead to injury if not done correctly, it is a good idea to use a personal trainer, at least in the initial days, so as to learn the correct form. Confirm your trainer is certified by the American Council on Exercise. You can then be rest assured that your trainer knows what she is doing. 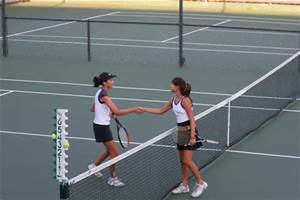 Whether a team sport or an individual effort, sports can be a great way of building exercise into your daily schedule. Choose your sport based on your fitness level, familiarity with the sport, access to the proper facilities; don’t forget to consult your doctor. Justin Ross is a marketing manager at New York Health & Racquet Club. With 20 years of experience in health and fitness, Justin loves to write and talk about different aspects of healthy living. For more info go to www.nyhrc.com, Facebook and follow along via Twitter. 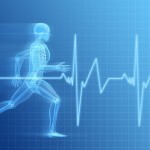 Is medical clearance to exercise really necessary? Firstly, things change. We change. Bodies change. Our biology and body chemistry changes. Medical conditions change. It’s important to check in with your medical professional before beginning a new activity, as well as before increasing activity because our health (internal, as well as external health) status may have changed since our last visit. For most of the general population, it’s important to re-evaluate our health status at least once a year. For example, maybe your blood pressure was never an issue in the past. However, with a more sedentary job, higher daily stress and poor nutrition choices due to long work hours your blood pressure could now be elevated. High blood pressure is an example of compromised health that often goes undetected in the early stages, but is considered a serious health risk. Secondly, generalizations are exactly that, generalizations. For example, youth does not automatically mean healthy. Skinny doesn’t always mean healthy. Another example; competitive athlete doesn’t always mean healthy. Likewise, an avid exerciser doesn’t always mean automatically healthy. 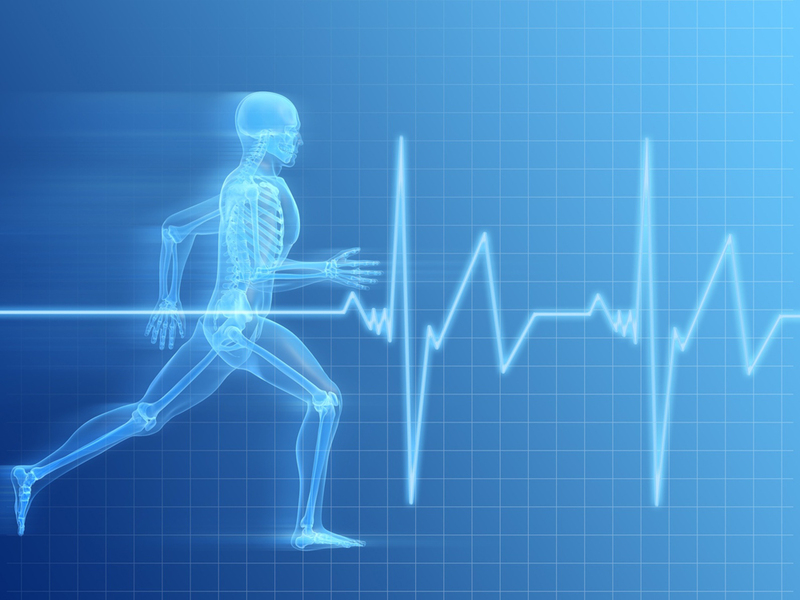 Each individual should pursue and manage his or her health as an individual. Thirdly, underlying conditions can be swept under the rug or disregarded as a symptom of mileage, hard workouts or heavy weights. Heavy exercisers may often feel fatigue, aches and soreness, so if something new arises there is less likely the chance the new symptom will be noticed and therefore tended to. For example, heavy lifting can make us sore in our upper back, neck and chest muscles. However, chest pain, neck and/or upper back pain can also be symptoms of cardiovascular issues. Re-evaluating our health status is an important component of managing our overall wellness program. Doing so also allows us to tend to issues before they become serious. It’s not a matter of being paranoid; it’s a matter of simply being aware. If something feels off with your body, pursue it. Next time you see, read or hear the phrase “seek medical clearance before beginning an exercise program or activity” take it seriously. In fact, there’s no argument not to. Every smart exerciser is constantly re-evaluating how they feel and how their body is working. Checking in with medical professionals is just another way of managing our wellness.